Lost your keys at home? Worried about keeping the doors and windows of your house secure? For a reliable and affordable domestic locksmith service in Birmingham, make 24-7 Locksmiths your first call. Contact us today on 0844 870 8134. Our Emergency Locksmiths in Birmingham are always on hand to help you get your life – and front door – moving again. We have fully trained locksmiths on-call every single day of the year, including bank holidays . . . because you never know when theft or a simple mistake can leave you in need of a specialist locksmith. Need spare keys for your friends and family? That’s no problem. 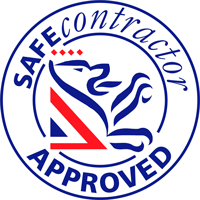 We can cater for your locksmith requirements, whatever they may be. Are you worried about your in-house security and want to protect your family from intruders? We believe everyone has the right to feel safe in their own home and we offer a full range of security solutions so you can sleep easy at night. At 24-7 Locksmiths, we fit higher security door locks, window locks and other forms of additional security will help to keep your valuables safe and the burglars out. From changing door locks to installing CCTV networks, our knowledgeable and friendly staff can provide advice on securing your property, whatever your budget and wherever you are in the Midlands. All quotations are confirmed once your requirements have been assessed. If you don’t see a service that meets your requirements on this site, contact our friendly and professional team on 0844 870 8134 and we will be happy to help. We also supply a variety of different security products such as cash boxes and door viewers. Visit our main store in Birmingham for our full range of domestic security products. Our engineers can get you back into your home and have a new lock fitted in as little as 30 minutes. We can fit and replace locks quickly and efficiently, anywhere in the Midlands. We use high quality locks so you can be sure that your new lock is safe and reliable. UPVC doors and windows are low maintenance but they can become defective over time. We can easily replace modern UPVC locks for customers. Emergency boarding can provide a quick and relatively cheap method of securing any broken doors or windows at your property. We specialise in providing latest in key and locksmith technology. We can re-pin and re-lever your locks so you can access your entire property with the use of one bespoke universal key. Want to keep an eye on your car or add full video surveillance to your home security systems? Book an appointment with our experts for a security assessment. 24-7 Locksmiths can provide you with a tailor made Intruder Alarm system that will give you the earliest possible warning of an Intruder, providing you with that extra peace of mind. Our honest and professional security experts are more than happy to give your home a full security assessment. Call us today to book an appointment and we can assess any vulnerable doors and windows which could be targeted by burglars.